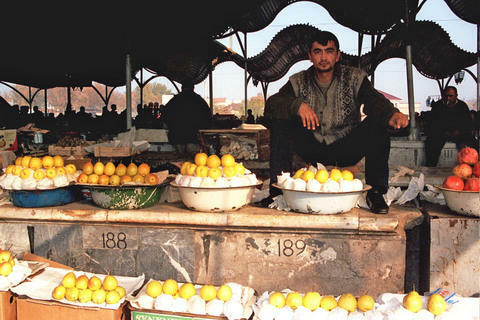 In late March 2004, two suicide bombings tore through the Chorsu bazaar area in Tashkent, Uzbekistan, killing 15. I found it hard not to think about this while touring the sprawling market eight months later, but if the vendors and other shoppers felt any nervousness about a potential recurrence -- or tension due to a then-ongoing dispute over selling licenses and regulations -- there were no obvious signs of it amid the bustling trade on a crisp November afternoon. 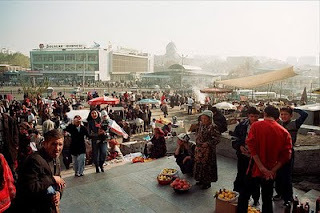 The outer rims of the bazaar were filled with rickety stands and itinerant vendors selling staple items of modern life -- watches, belts, sunglasses, clothing, cassettes -- while the covered area at the core of the market held foodstuffs of all sorts. 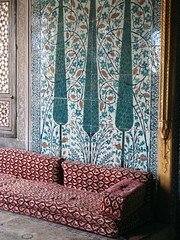 Squash and pomegranates were splayed open to display their colorful interiors. A rainbow assortment of candies for the Eid al-Fitr holiday marking the end of the Ramadan fasting period spilled out of their sellers' stalls. 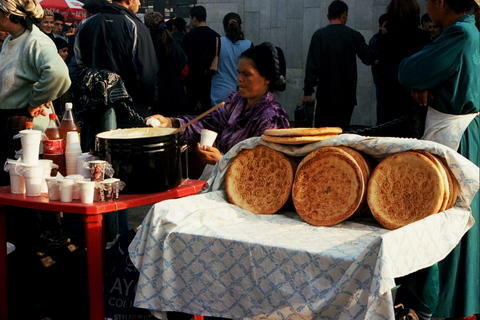 We dipped our fingers to taste honey dripping from a knife and spices sold out of canvas sacks as nearby vendors sat and churned huge vats of a marshmallow-like substance and offered tastes to passers-by. From another stand, we sampled what looked like balls of dough, but turned out to be tart rounds of cheese. 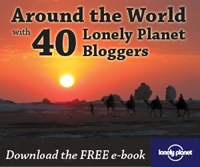 NOTE: Other Lonely Planet bloggers share their experiences -- wide-eyed like my early encounter, savvy, or quizzical -- with market cultures around the world in the Blogsherpa Blog Carnival: The Marketplace, hosted by Kiran Keswani of Indian Bazaars.